How's THAT for charity! 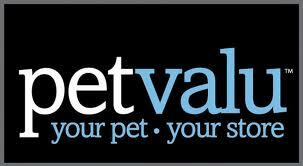 A new Pet Valu store will be opening in north Toronto, and owner T.J. Sheehan will be donating all first day sales to an amazing no-kill rescue organization in Toronto. Make sure to save the date Thursday May 24 and head on over to support T.J, your local neighbourhood, and needy GTA cats! There will also be an adopt-a-thon that date as well, for the grand opening. Our adoption fee at the event is as follows: for cats over 6 months it is reduced to $100, with kittens 6 months and under is our regular fee of $175. It includes 1st set of the FVRCP vaccine, rabies vaccine if age appropriate, the spay/neuter, and 6 weeks of free pet insurance.